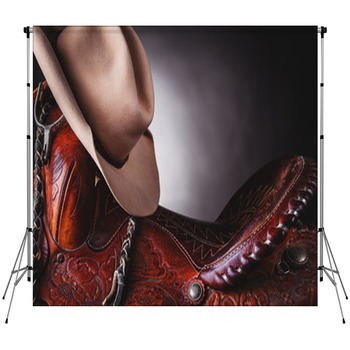 You can use one of our rodeo backdrops to take a picture in front of, add it to your existing collection of backdrops, or display it at a party with an old western theme for your guests to take a picture. 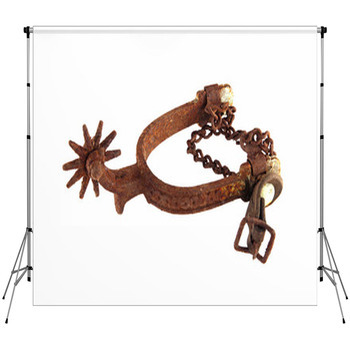 See our row of rodeo boots and spurs backdrop, depicting a cowboy sitting on the fence with its feet on the bottom rails visible. 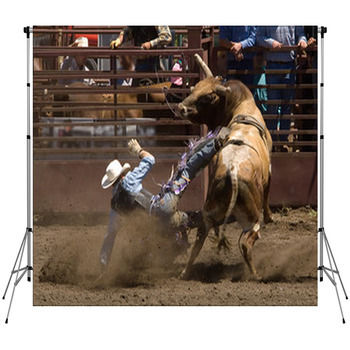 The rodeo cowboy bull riding backdrop portrays a cowboy riding a bull and using his expertise to ride the beast as long as possible with an onlooker witnessing it all. 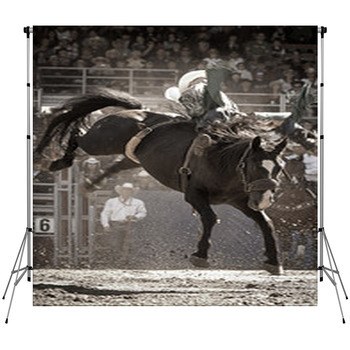 Other bull riding backdrops include the silhouette of the bull rider at sunset and the rodeo tauraeu. 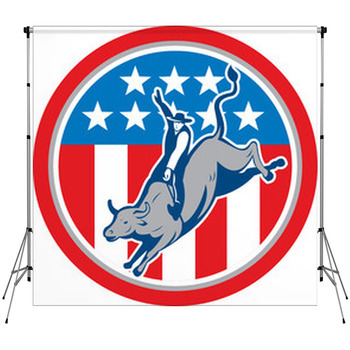 The grunge background backdrop has a sign that says, “Cowboy Rodeo,” stuck to wooden surface. 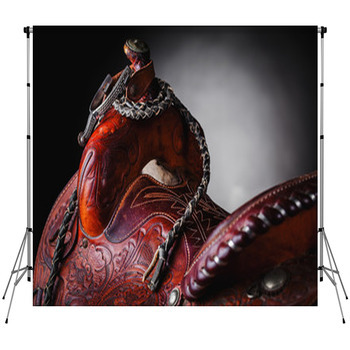 On one of our American rodeo backdrops available in our collection, the cowboy is riding the bull in front of a red, white, and blue background. The logo cowboy on black background is a vector backdrop, showing the head of a bull in white with a cowboy on a bull entering the head. The cowboy with lasso shows the rider swinging the lasso while riding his horse. 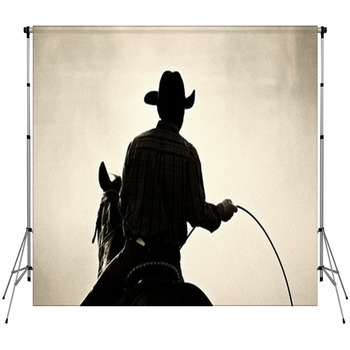 The rodeo cowboy backdrop depicts the lonely rider standing in the middle of the sunset, sitting on his horse with lasso in hand. 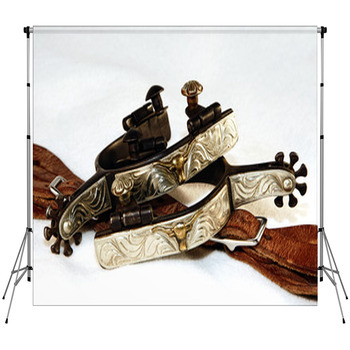 The clothes and accessories backdrop features the cowboy’s apparel. 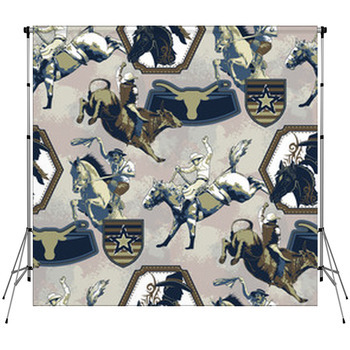 The airborne rodeo bronco backdrop illustrates a picture of a cowboy riding a bull caught in mid-air. 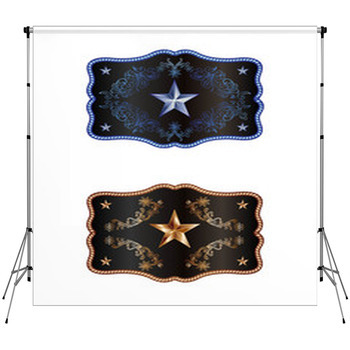 You can personalize the cowboy backdrops by sending in a picture.